Spas of America, the fastest-growing spa travel website, showcasing North and South America’s best resort, hotel and destination spas, today announced their 600th spa listing and their first underground cave spa experience: Spa Terra within The Meritage Resort and Spa. Forty feet below the iconic grape crusher statue that graces its southern end, Spa Terra is the first spa in the world to be developed entirely underground. 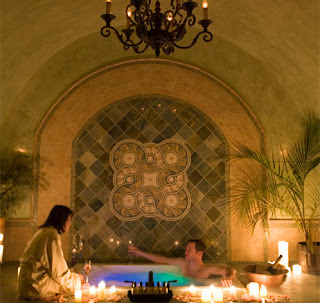 Nestled nel cuore della terra (“in the heart of the earth”), the spa features steam grottos, soaking pools, water walls and lavishly appointed private treatment rooms for individuals and couples. Its sumptuous decor reflects the resort’s Mediterranean theme. 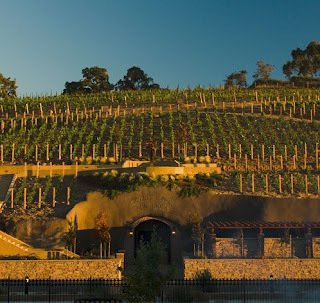 The Meritage Resort is located only an hour from San Francisco, one of the most popular tourist destinations in the United States. “We are pleased to welcome Meritage’s Spa Terra as a premium member listing,” says Spas of America president and founder Craig Oliver. “Their presence on our website benefits our existing spa listings and provides our customers from around the world with another fabulous option when seeking exciting and rewarding health and wellness travel experiences." Spa Terra’s , signature treatment is Solo Vino. It combines an exfoliating grape seed scrub, an invigorating jet shower rinse, a hydrating body wrap with a wine cave mud mask and a Terra massage. A wine and cheese selection rounds out the two-hour treatment. Visitors can learn more about Spa Terra on the Spas of America website. Spas of America is a global online media company focused on healthy living and travel. The Spas of America website showcases over 600 of the best day, resort, hotel and destination spas in North and South America to spa travelers around the world. Since the site launched in 2005, over a quarter million customers have visited spasofamerica.com. Spas of America is a member of the International Spa Association and Leading Spas of Canada. It also operates the websites spasoffrance.com, spasofitaly.com, spasofdubai.com and spasoflife.com, a daily spa travel blog.